The Radiology & Imaging at Sarvodaya Hospital is a highly advanced facility, equipped with the latest advanced state-of-the-art technology. Equipment like Body CT have supplanted or encroached upon other radiological procedures. General ultrasound is designed to keep pace with newer, advances & to cover all areas of ultrasound. For the digital radiography & diagnostic procedures, the department maintains digital X-ray machines with dry chemistry. There is a local network connecting CT and X-Ray to a common workstation facilitating faster and more efficient reporting. We have the high-quality Neuro imaging with 1.5 Tesla MRI, 128 Slice CT scanner machines. Be it CT scan, Ultrasound or General Radiology, the department is self-contained with a separate reception, waiting area, examination and equipment room. In addition, there is a local network connecting CT and X-Ray to a common workstation facilitating faster and more efficient reporting. Sarvodaya Hospital is equipped with PACS system the image generated in X-ray, CT scan or MRI is channelized all through the hospital. These can be viewed online by concerned consultants. This rapid dissemination of information & images helps the consultants to arrive at an early diagnosis. They can plan interventions in a fast manner which ultimately leads to better patient care& outcomes. Digital X-Ray for routine & specialized investigation. Ultrasound Scanner for diagnose and US guided therapeutic interventions. Color Doppler of different organ like carotid, peripheral anterior & renal Doppler, obstetrical & Renovascular Doppler. Mammography is a specific type of imaging that uses a low-dose system to examine breasts. Special intervention procedures as guided taps, guided D&C & pigtail drainage are regularly carried out in the department. Equipped with Seimens 500 M1 X-ray Generator & Fuji X-ray System and Laser printing technology to give instant fine X-ray prints & reports. Equipped with GE Logic S7 capable of doing advance 4D ultrasound effective Doppler studies it boasts of State of the art US technology to support the clinician. The Department is equipped with portable ultrasound scanners to support patients for bed side studies in difficult situations. The Department is equipped to carry out all Dopplers like peripheral vascular Dopplers both artrial and venous, Obstretical, Carotid Doppler, Hepatic Doppler, Reno Vascular Doppler and much more. 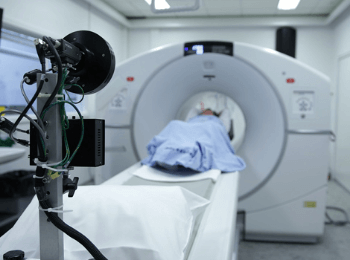 Equipped with 128 slices, the department is able to carry out highly advanced CT scan with high resolution CT images. We can carry out CT Coronary Angiography & other angiography like Cerebral DSA (Digital Subtraction Angiography), Peripheral Angiography, Pulmonary Angiography. The department can carry out triple phase hepatic CT AND CT Urography. Equipped with 1.5 tesla Seimens MRI equipment’s, the department carries out all possible MR studies including spectrosonic studies.